One for Butterscotch; One for Carmel–but Which??? In the tale of two sugars, brown sugar and its cousin white granulated were each toasted in a skillet–but NEVER scorched– over medium heat with butter, to become a sauce with a tawny color: one bacame carmel and one became butterscotch. But do you know which? Follow above, stirring constantly. NOTE: Syrup should have a golden brown color, not dark brown or black. And most crystals should be dissolved. 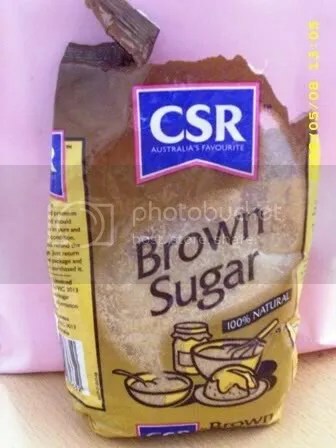 Categories: Friday Fun, recipes | Tags: brown sugar, recipe butterscotch sauce, recipe carmel sauce, white sugar | Permalink. 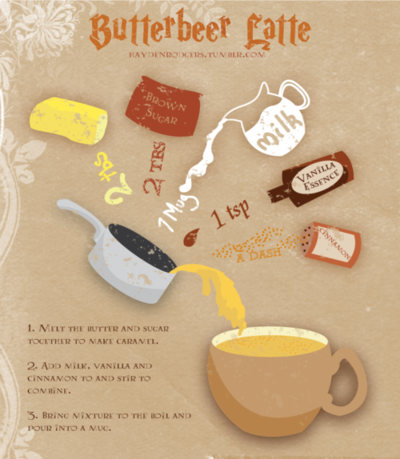 Categories: kids crafts, recipes | Tags: butterbeer, harry potter food, how to make, latte recipes | Permalink.